WASHINGTON, DC, March 1, 2018 – Bloomberg BNA has published a comprehensive guide to the laws and regulations that govern the IRS whistleblower program written by Phillips & Cohen whistleblower attorneys. 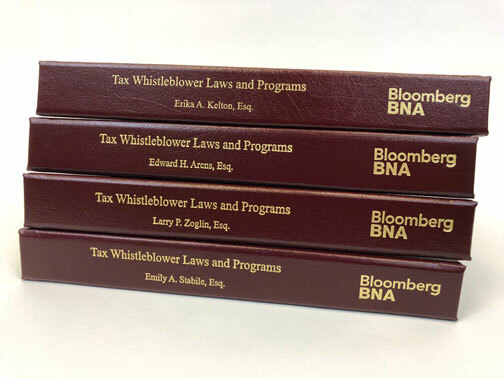 Tax Whistleblower Laws and Programs is part of Bloomberg BNA’s Tax Management Portfolios, which provide research and analysis of tax issues to more than 1,000 tax attorneys. The portfolios are considered the gold standard in the legal world for those dealing with tax matters. Erika A. Kelton, Larry Zoglin, Edward H. Arens and Emily Stabile of Phillips & Cohen and attorney Andrea Hasegawa are the authors of the new publication. Who can be a whistleblower. How to file a whistleblower claim. How to protect a whistleblower’s identity. The importance of the “one-bite” rule. The IRS basis for determining the amount of a whistleblower’s award. 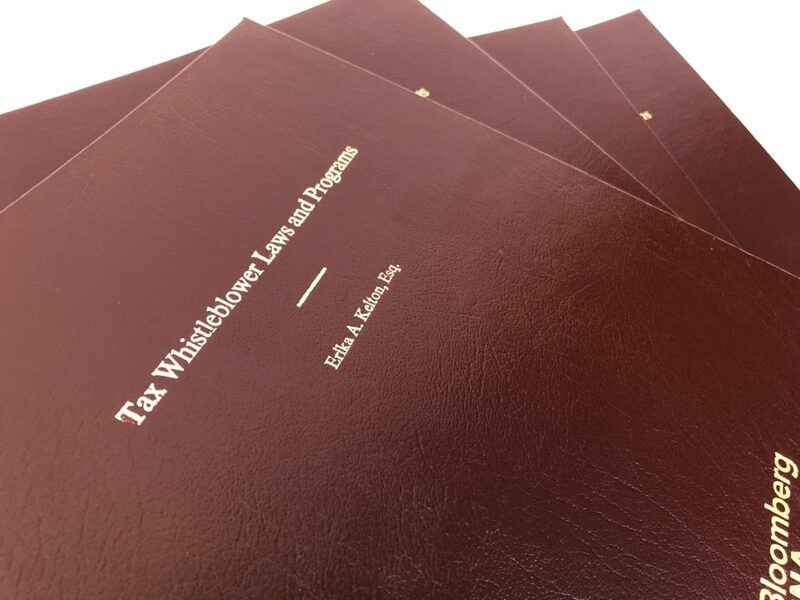 Tax Whistleblower Laws and Programs also contains a history of tax whistleblower award programs in the US, starting with the Civil War period when Congress first considered creating a tax whistleblower program. The modern-day IRS whistleblower program was significantly strengthened in 2006, at the behest of Sen. Chuck Grassley (R-Iowa), as part of the Tax Relief and Health Care Act. Unlike the previous program, where the IRS could decide to give whistleblowers nothing for their contributions to exposing and stopping significant tax fraud and abuse, the new program established a mandatory award for qualified whistleblowers. In cases where the tax fraud exceeds $2 million, the minimum reward for a whistleblower is 15 percent of the collected proceeds, with an upper limit of 30 percent. The law also granted whistleblowers the right to appeal the IRS’s reward determination . The portfolio also explains the procedures for appealing an IRS whistleblower determination and challenging the IRS in Tax Court. Cases in Tax Court and other courts that have impacted the IRS whistleblower program are addressed as well. Though the IRS Whistleblower Program has improved from where it was a dozen years ago, the portfolio notes that whistleblowers still face strong institutional resistance from the IRS. “…When the Chief Counsel of the IRS is opposed to the program, it is difficult to imagine how it can flourish, despite the best efforts of whistleblowers and their attorneys, and well-meaning IRS staff,” the portfolio says. This attitude is reflected in statistics about the program. For example, whistleblowers have to wait an average of seven years before the IRS informs them as to the outcome of their claim. During that time, the IRS rarely communicates with the whistleblower or their lawyers about the status of the investigation into the whistleblower’s claim or the reward determination. In addition, the IRS can dismiss whistleblower reward claims fairly easily. For more information about Tax Whistleblower Laws and Programs, see the Tax Management Portfolios website.